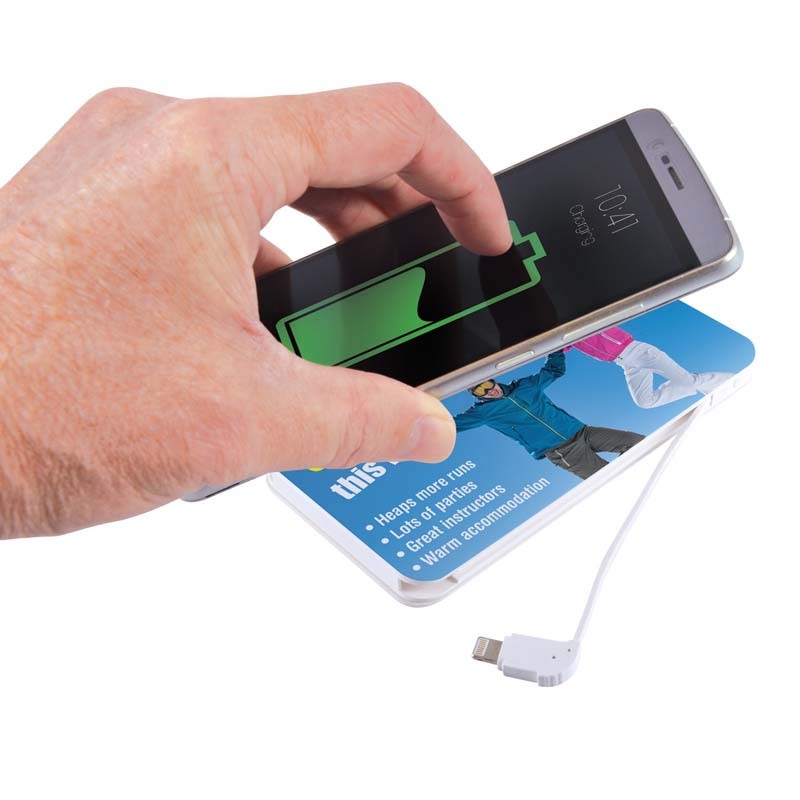 5,000mAh inductive wireless charger Power Bank with built in Type C connector cable and combo Android & iOS connector cable. A Grade Li-Po battery. 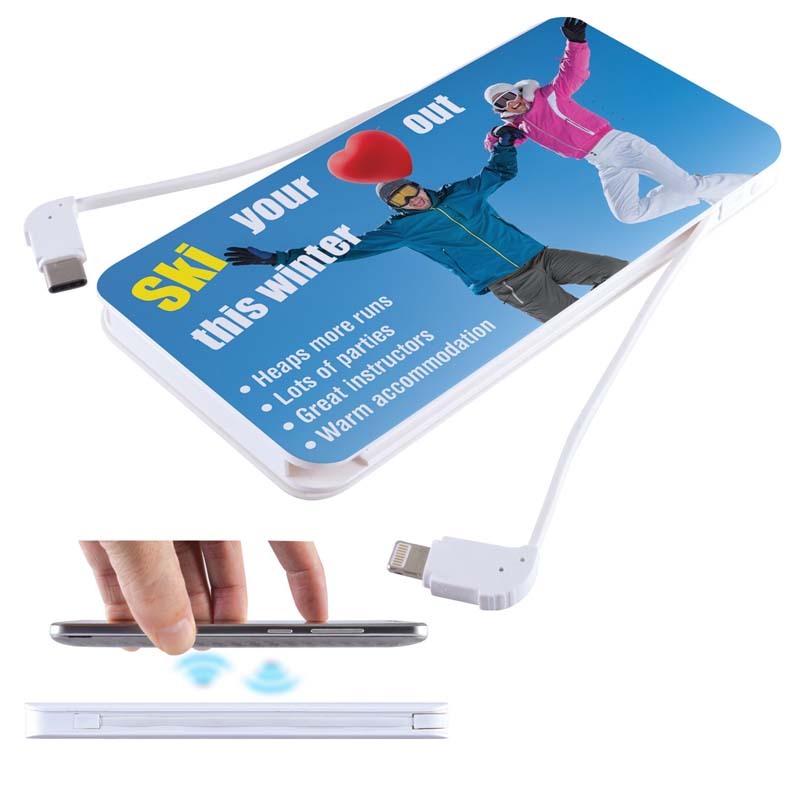 Charges any phone with included connectors or charges any wireless compatible phone. 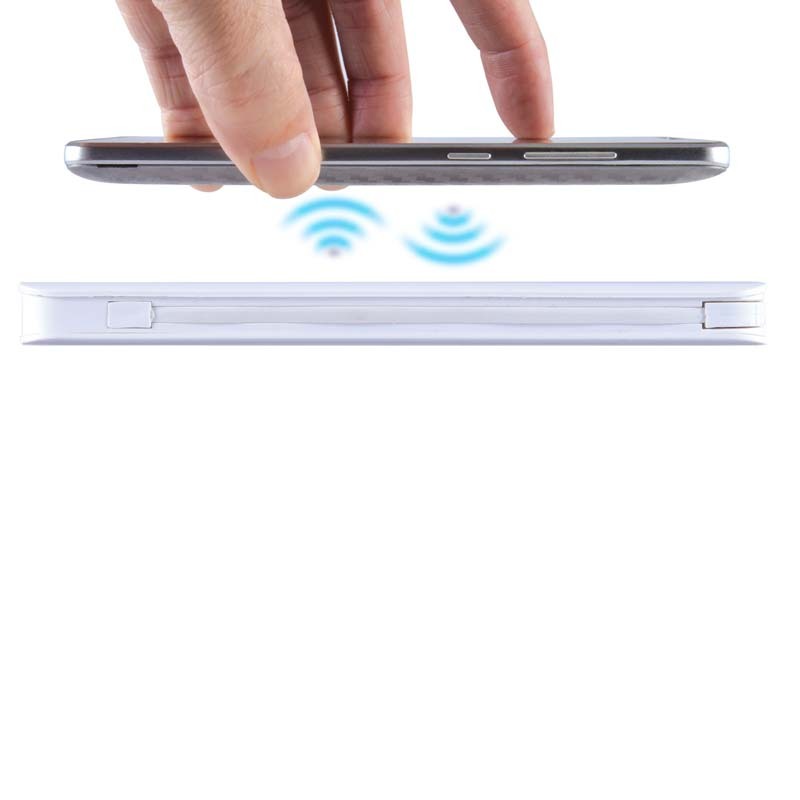 Wireless charging works with new Apple 8, 8 Plus & X and suitable for Samsung Galaxy S6, S7, S8. 4 graduated power remaining LED indicators. 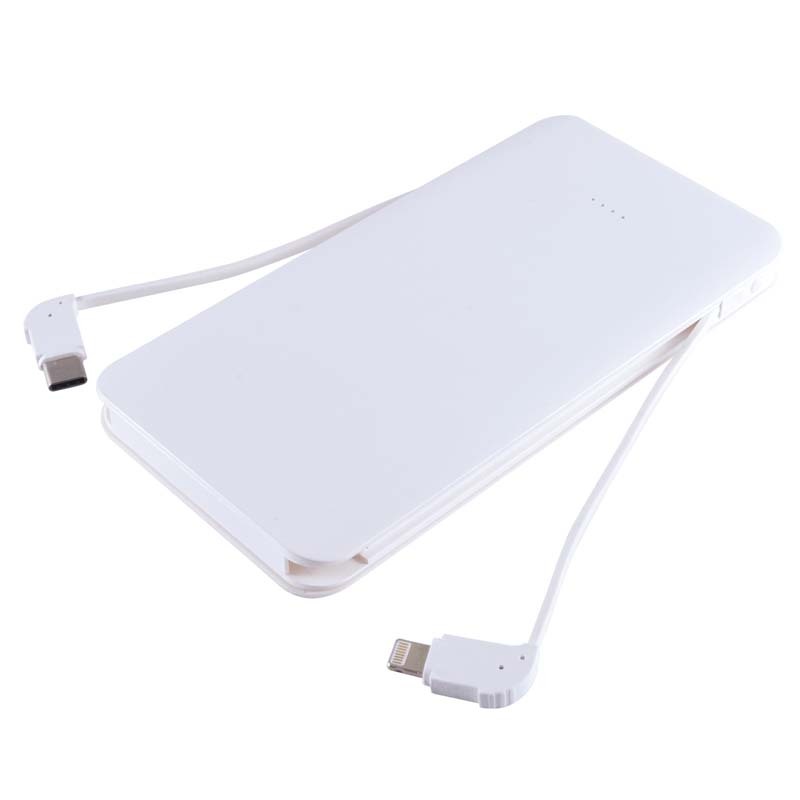 Power Bank contains enough capacity to recharge most phones on the market 2+ times and tablets up to 50%. Can be charged up to 300 times. Takes 4-5 hours to charge. 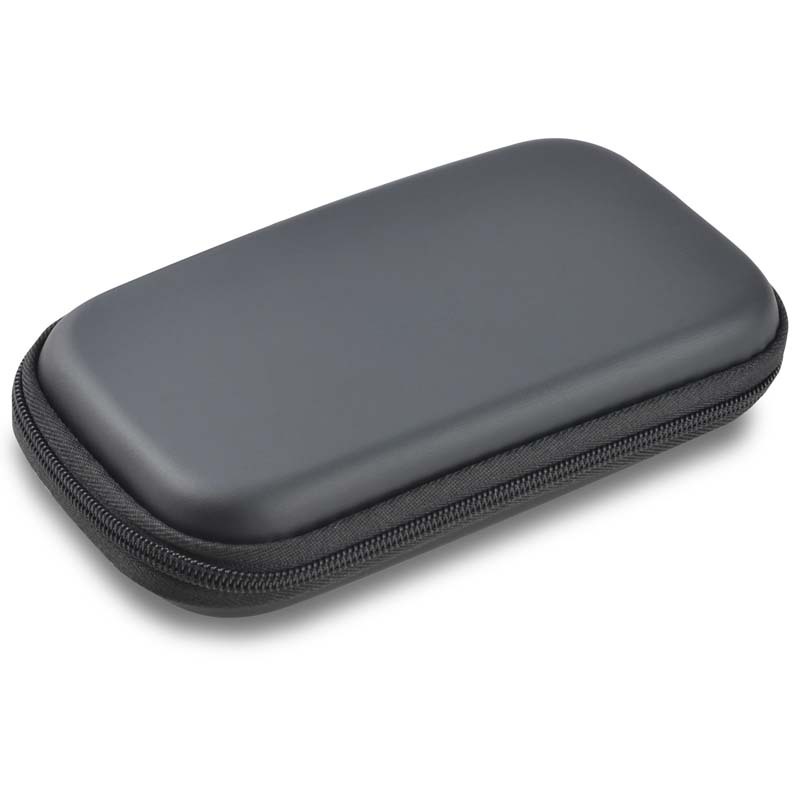 Optional box decoration or EVA black zippered pouch available at additional cost.